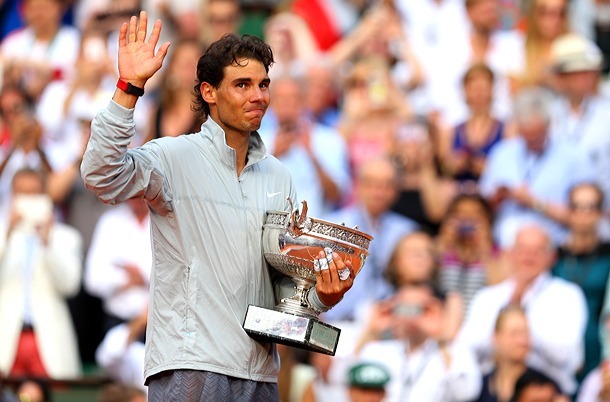 Rafael Nadal won his fifth consecutive French Open title after beating Novak Djokovic 3-6, 7-5, 6-2, 6-4. It was the 42nd time the two legends had bashed rackets but It was Nadal who came out victorious, winning in dramatic style after losing the first set 6-3. 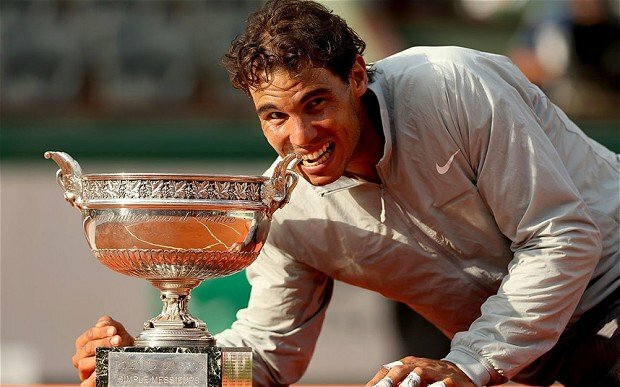 Nadal claims a record-breaking 9th French Open Championship and ends a four match losing streak to the Serbian. After losing the first set, Nadal came out in the second playing much more aggressively and broke Djokovic to go 4-2 up. A poor service game however gifted Djokovic the opportunity to get back in the set. Serving at 6-5, Djokovic’s service game fell apart and Nadal neutralized the game by claiming the set. Nadal took the third set convincingly at 6-2 before overcoming his long-term rival 6-4 in the final set. With Wimbledon just a few short weeks away, Nadal has his sights set on making an impact. Last year he suffered a shock first round defeat to world number 135 Steve Darcis but the Spaniard believes he is better prepared for the tournament this year after overcoming a barrage of serious knee injuries. The 28-year-old equaled Pete Sampras of 14 Grand Slams and is only three away from Roger Federer’s 17. Nevertheless Nadal ruled out targeting the Swiss sensational Grand Slam record. “The most important thing today is I won the most important tournament of the world on clay, probably the most important tournament of the year for me. We will see when I finish my career how many Grand Slams I have or if I win four, three, or five in a row”.